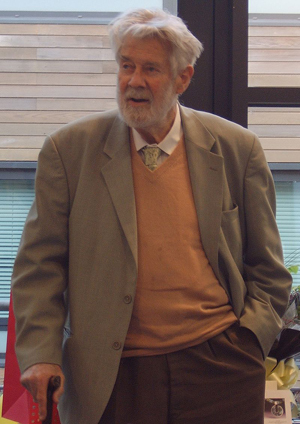 On 13 February, Sir Christopher Zeeman, founding professor of the Mathematics Department at Warwick University, died peacefully in his sleep at the age of 91. Christopher was one of the great figures of British mathematics. He worked in topology and catastrophe theory. He delivered the Royal Institution Christmas Lectures in 1978, the first time ever by a mathematician. In 1988 the Royal Society awarded him the Faraday Prize for public engagement. He was awarded the David Crighton medal of the Institute of Mathematics and its Applications and the London Mathematical Society in 2006. He was appointed Principal of Hertford College, Oxford in 1988. Under his direction, Warwick quickly became one of the UK's leading mathematics departments, with a high reputation internationally. It is characterised by its unique blend of pure and applied mathematics. For Warwick University's tribute click here. For The Guardian's obituary click here.